Picture 1:Players make their entrance flanked by trendy girls in hot pants! Ooh! Spurs chaps are Steve Perryman followed by Gerry Armstrong, Bohs men are Joe Burke who is followed by Mick Smyth. Picture 2:Osvaldo Ardiles with Spurs No. 2, Don McAllister and, I think, current Spurs assistant manager John Gorman (nice perm John!). Picture3: Ossie slots a pass. Bohs players left to right are Tommy Kelly, Eamonn Gregg (Ireland's regular right full who was linked with a Spurs move at the time), and Joey Malone. The referee is Paddy Mulhall. 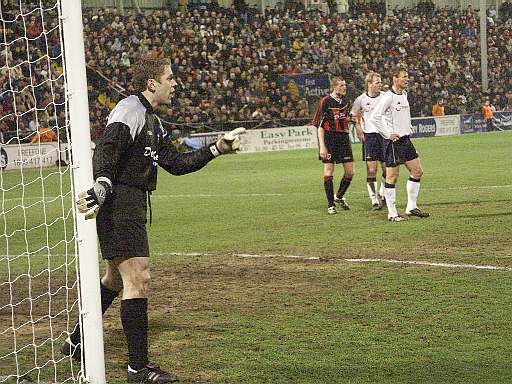 Picture 4: Terry Eviston gets up with Spurs keeper Barry Daines during a Bohs attack in the first half. Spurs No. 2 is Don McAllister. Picture 5: Mick Smyth looking extremely old or just worried as a cross comes in (from Chris Jones?) during the second half. Picture 7: John McCormack gets in a strong and painful challenge on Ricky Villa. At White Hart Lane, this was the second match of Bohs short London. The Gypsies had lost 6-1 at Tufnell Park to fellow amateurs London Caledonians on the Saturday, two days earlier. Sloan, the Irish international, was a London Caledonians man who guested for the Dubliners, who had travelled without a recognised centre forward as Billy Otto was injured. Bohemians - Harry Cannon, Bertie Kerr, Jack McCarthy, Mick O’Kane, Johnny McMahon, Johnny McIlroy, Jimmy Bermingham, Billy Dennis, Andy Sloan, Ernie Graham, Alex Morton. 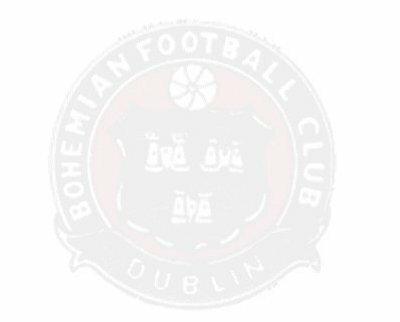 Bohs were reigning Irish champions, but were seriously depleted following the departure of Fran O’Brien, Pat Byrne, and Eddie Byrne, who had all left on transfers towards the end of the 77/78 season. The Gypsies were also without leading scorer Turlough O’Connor, who'd only just returned from holiday. Hoddle's goal was from the top drawer, but the rest of the game wasn't really up to much. A fine attendance of 14,500 enjoyed the sunshine at Dalymount that Saturday afternoon all the same, the main talking point being the appearance of Ossie Ardiles and Ricky Villa. Jimmy Meagan wrote in the Sunday Press: “... the three-quarters of a million pounds spent on purchasing Argentinian World Cup stars Ardiles and Villa, at the moment anyway, appears to be money ill spent... Ardiles, with his fragile frame, looked uncomfortable and out of touch.” First appearances can be deceptive, eh? Bohemians - Mick Smyth, Eamonn Gregg, Austin Brady, Tommy Kelly, Joe Burke, Padraig O’Connor, Joey Malone (ht Kevin Courtney), John McCormack, Joey Salmon, Paddy Joyce, Terry Eviston (ht Tony Dixon). Spurs - Barry Daines, Don McAllister, John Gorman, Glenn Hoddle, John Lacy, Steve Perryman (Jimmy Holmes), Ricardo Villa, Osvaldo Ardiles, Gerry Armstrong (Chris Jones), Ian Moores, Peter Taylor (Neil McNab). Another sunny Dalymount day, Bohs gave a good account of themselves throughout. Charlie Stuart in the Irish Press quoted Gary Lineker, Tottenham’s new signing: “It was bloody warm out there - even hotter than what I am accustomed to at the Nou Camp stadium in Barcelona, where our matches were always played at night-time.” Lineker was then reportedly earning £3,000 per week, while young Dave Campbell his marker won the man-of-the-match award sponsored by DG Opel and presented by their Managing Director, himself a Spurs fan, Michael Fitzsimons. We remember Gazza roaming around under the old Dalymount stand after the game showing anyone he bumped into what he’d written in biro on the palm of one hand: £2.2m. “That’s what I cost,” he proudly pronounced. We agreed. Bohemians - Dermot O’Neill, Alan Kinsella, Willie O’Leary (ht Alan Byrne), Dave Campbell, Paul Whelan, Padraig O’Connor, Derek Murray, John Byrne (58 Lee King), Dave Tilson (58 “Rocky” O’Brien), Derek Swan, Derek Carroll. Spurs - Eric Thorstvedt, Gudni Bergsson (73 Hendon), Gary Mabbutt (ht Gary Stevens), Gary Butters, Chris Hughton, Nayim, Vinny Samways (ht Mitchell Thomas), Steve Sedgley (ht Robson), Paul Gascoigne (42 David Howells), Paul Stewart (73 John Polston), Gary Lineker (ht Paul Walsh). 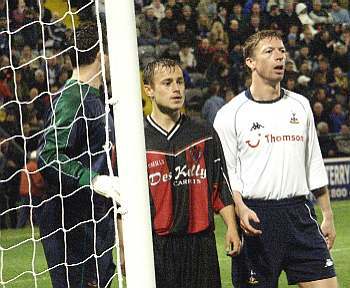 Kasey Keller played against Bohs for Millwall about 7 to 8 years ago when Mick McCarthy was Millwall manager. Thanks to Chris Naidoo for the photos and Stephen Burke for the commentary. Some photos from last week's 3-1 win over the premier league team. Shea Kelly makes a point!